Make changing strings easier than ever with the Dunlop Deluxe Stringwinder. A rugged steel axle gives you smooth winding without any wobble. 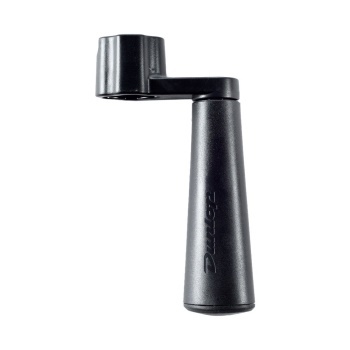 A hidden storage compartment in the handle is perfect for stashing extra bridge pins or locking nut screws. The built-in bridge pin puller saves you time with those stubborn pins that won't pull out easily. Every guitar player needs a reliable string winder in their gig bag. Be ready to change a string at any time with the Dunlop Deluxe Stringwinder.